On July 20, 1969, American astronaut Neil Armstrong became the first human to walk on the surface of the moon, creating one of the greatest moments in the history of mankind... and sparking countless 'hoax' theories. 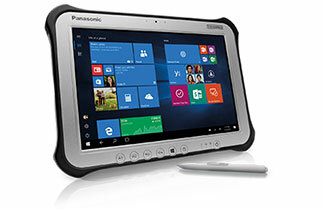 In November 2016, Panasonic Toughpad undertook a project of equal ambition and technological endeavour... but this time, could there be any doubt as to the authenticity of the achievement? 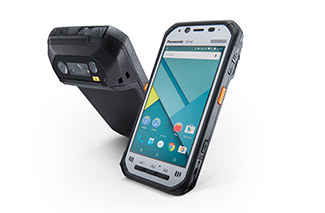 Join us, and two astonishing tablets, as we ruggedly go where no Toughpad has gone before. Into space. The final frontier. The fully rugged Toughpad FZ-G1 tablet with Windows 10 Pro sets the new benchmark for outdoor viewable tablets making it ideal for field workforces in outdoor scenarios. DISCLAIMER: This has been filmed for marketing purposes only, the devices have not been tested, approved or warranted for these conditions. Intel, the Intel logo, Intel Core, Intel vPro, Core Inside, and vPro Inside are trademarks of Intel Corporation in the U.S. and other countries.